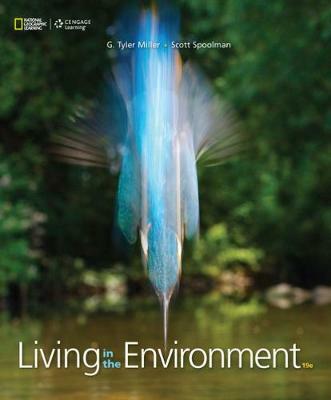 Team up with Miller/Spoolman's, LIVING IN THE ENVIRONMENT and the National Geographic Society for the most inspiring introduction to environmental science available! Providing clear introductions to the multiple environmental problems that we face and balanced discussions to evaluate potential solutions, this new edition includes everything you need to succeed in the course, while you get the knowledge you need to make a difference in solving today's environmental issues. The MindTap online edition of the book offers exclusive National Geographic content, including high-quality videos on important environmental problems.